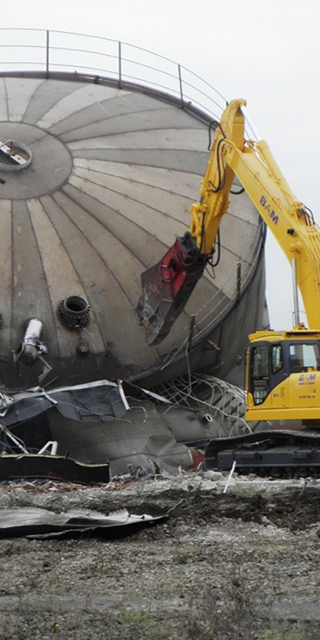 Brown and Mason are experienced at organising the decontamination of equipment, process plant and buildings/structures early in the decommissioning, dismantling, demolition and disposal process. Radioactive contamination in various forms, i.e. powder, gas, vapor, liquid or solid. Contamination may be present in the air or on various surfaces of equipment and plant or on the building fabric (walls, floors, etc) and we have access to a large bank of machinery to process contaminated materials, as well as a bank of experienced professionals with experience of the most up-to-date methodology. In order to manage the decontamination, dismantling and ultimate disposal of contaminated equipment and plant, we initially undertake investigations and prepare feasibility studies, risk assessments, method statements and arrange for cleanliness certification, validation and detailed reporting. Please contact us in order to discuss any scale of decontamination project.